I recently attended an event hosted by the American Heart Association and Go Red Chicago, where a panel of physicians and healthcare providers discussed the effect of diet, hormones and cardiovascular risk factors on the heart and brain. The physicians also touched on emerging data that suggest there may be racial/ethnic differences in the prevalence and effects of cardiovascular risk factors to the development of heart disease and brain functioning in these diverse populations. Thus, I was very interested in reading the following article from Korea that examined the effects of vascular risk factors in mid and late life to dementia risk. The initial study population included over one million persons aged 30-95 years who participated in at least one biennial National Health Insurance Corporation (NHIC) medical evaluation between 1992 and 1995. The NHIC provides health insurance to government employees, teachers and their dependents and it was estimated that at the time of this study, approximately 11 percent of the Korean population was insured by this organization. Persons were excluded from the study if they reported having cardiovascular disease, cancer, liver disease prior to their initial visit, or if they had missing data on any study variables. Thus the final sample size for this study was 848,505 participants, aged 40 years or older, followed for up to 14 years. As is typical with many studies focusing on cardiovascular disease, questions regarding history of cigarette use and alcohol consumption were obtained along with height, weight (for body mass index calculations) and blood pressure. Fasting blood samples were obtained for both serum glucose and serum cholesterol. The specific criteria for hypertension were a systolic blood pressure of at least 140 mmHg or a diastolic blood pressure of at least 90 mmHg. Cholesterol was characterized as “desirable” if the serum cholesterol was 200 mg/dl, “borderline high” if it was between 200-239 mm/dl, and “high” if it was greater or equal to 240 mg/dl. Diabetes was defined as a fasting serum glucose level of 126 mg/dl or higher. As this was a large sample of persons evaluated in clinical hospitals, the main variable of interest was a dementia diagnosis. For these analyses, the dementia categories included Alzheimer’s dementia (AD), Vascular dementia (VaD), and “unspecified” dementia. Of the 848,505 persons who were evaluated at the baseline examination, there were 358,060 women (age at baseline 53.6 yrs) and 490,445 men (age at baseline 51.9 yrs). The entire population had a low level of body mass index. Both cigarette smoking and alcohol consumption were more common in men compared to women. 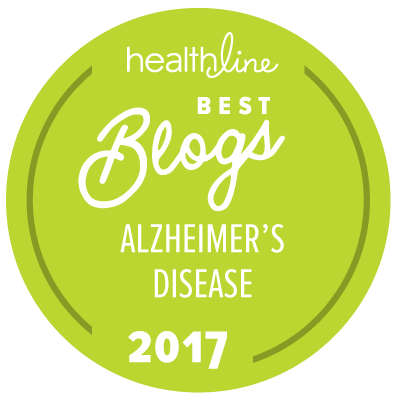 During the 14 years of follow up, 3,252 persons were hospitalized for issues related to dementia; the majority of those dementias were listed as Alzheimer’s. Increasing dementia incidence of Alzheimer’s was noted as age increased, peaking at the ages of 75-80 years, then decreasing at older ages. In both women and men, diabetes was associated with all types of dementia, and appeared to be higher for VaD than Alzheimer’s in women. Hypertension (HTN) was also associated with all dementias; strongly associated with VaD in men, but did not appear to be associated with Alzheimer’s in women. In both groups total cholesterol was not associated with dementia. Further analyses were conducted measuring the impact of vascular risk factors measured in midlife (<65 years old) compared to later (>65 years old). Diabetes appeared to be associated with Alzheimer’s in both the younger and older age groups for men, whereas smoking was associated with Alzheimer’s in midaged men (< 65 years) compared to older men (> 65 years). HTN had a strong association with VaD in both men and women before and after 65 years old. There were no notable interaction effects between HTN and diabetes on the risk of dementia for either gender. This study in the Korean population supports data from Western population studies, suggesting that diabetes and HTN are important risk factors for the development of both Alzheimer’s and VaD. Further, this large study also suggests that vascular risk factors in midlife appear to have a higher risk for dementia development as compared to later risk factors. One limitation of the study, as noted by the authors, was the relatively high rate of “unspecified dementia cases” (36 percent for men, 39 percent for women) which could affect the strength of these associations. Nevertheless, this study provides support that there is an increased risk of dementia associated with these factors in this Asian population, and highlights the need for aggressive vascular risk reduction treatment as a dementia prevention method.